Many wireless cell phone providers offer cell phone plans for seniors to cater the seniors’ needs. That is good for seniors to have this variety of plans to make their choices, but it may confuse to choose the best cell phone plans for seniors 2019. The best cell phone plans for seniors should be simple, affordable, and work best to achieve the seniors’ needs Check out our top 5 cell phone plans for seniors, to find out their features and options to make it easier to find the right cell phone plan that fits your lifestyle at affordable prices. Some plans are offered by one of the four major carriers, which are AT&T, Verizon, T-Mobile, and Sprint. The other plans offered by a Mobile Virtual Network Operator (MVNO). The MVNO runs on one or more of the major carriers’ network, so you have the same coverage and reception of that major carrier. If you use your phone for making brief calls every month or need to make sure you can reach your family or a medical professional in the emergency, the pay as you go plans is your best way to save money. The $3 plan from T-Mobile is one of the cheapest cell phone plans that give you any combination of 30 minutes or text messages through a month. Additional usage costs ten cents/minute or text message. This is a basic prepaid plan and allows you to add data packages. For $5 you get up to 500 MB of 4G LTE data used through one day. For $10 you get up to 1 GB of 4G LTE data used through one week. Consumer Cellular is one of the Mobile Virtual Network Operators that uses the AT&T network. It provides no-contract cell phone plans for senior citizens. The cheapest plan starts as low as $15 per month and comes with 250 minutes and unlimited text. At the time of writing the article, Consumer Cellular offers $20 invoice credit when you add a new line. Also, there’s no activation fee and if you are a member of AARP, you can get a 5% monthly service discount. GreatCall company provides the Jitterbug phones and specially designed cell phone plans for seniors. Jitterbug offers plans start as little as $14.99 per month for 200 minutes and you can carry over unused minutes. GreatCall is the only carrier offers healthcare and safety services besides the wireless plans. It may be the best choice for seniors who need health care or living alone. These plan created for the Jitterbug phones, which are easy-to-use phones come with good features that serve the senior users such as large buttons with big, easy to read and easy to activate and an LCD with clear and high contrast text and high earpiece volume. PureTalk is another AT&T Mobile Virtual Network Operator, which offers unlimited talk, text, and 3 GB of high-speed data for $30 per month. After using the 3 GB your data speed decreases to 128 KBPS. There’s no activation fee or hidden fees. This plan is good for mobile-savvy seniors who use their phones frequently but don’t need too much data. But if you’re a heavy data user, you may need to check the unlimited plans discussed below. The T-Mobile unlimited 55 plus plan is the discounted version of the T-Mobile ONE Unlimited plans. It’s created for people ages 55 and older. You get unlimited talk, text, and data for $70 per month with autopay discount (autopay discount is $5 per line). Taxes and fees included and only the account holder should be over 55 years old. A single line costs $50 per month with autopay discount. To get unlimited plan from one of the big four carriers for $70 per month for two lines ($35 per line) is a good deal and makes the T-Mobile 55 plus plan one of the best cell phone plans for seniors 2019. 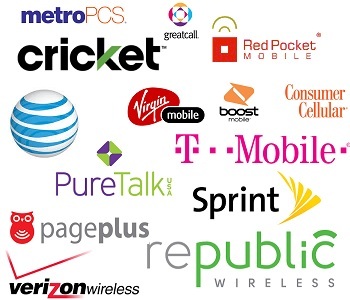 That was our top picks of the best cell phone plans for seniors 2019, we will add more plans and update the list.